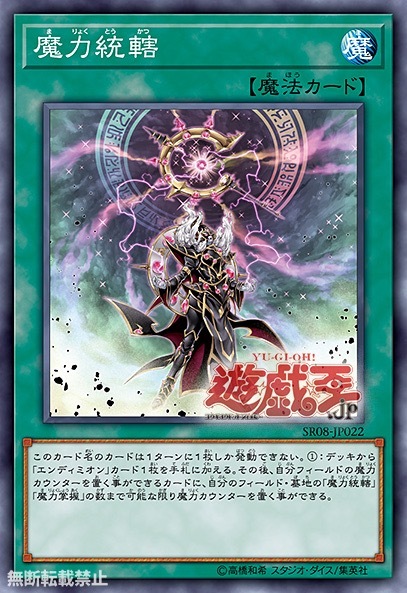 SHADOW REALMS Forums-viewtopic-[OCG] 12/01/19: Structure Deck R Lord of Magician-UP! www.shadowrealms.com.br Exibir tópico - [OCG] 12/01/19: Structure Deck R Lord of Magician-UP! 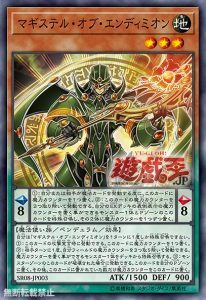 Enviada: Mon Nov 12, 2018 8:47 am Assunto: [OCG] 12/01/19: Structure Deck R Lord of Magician-UP! 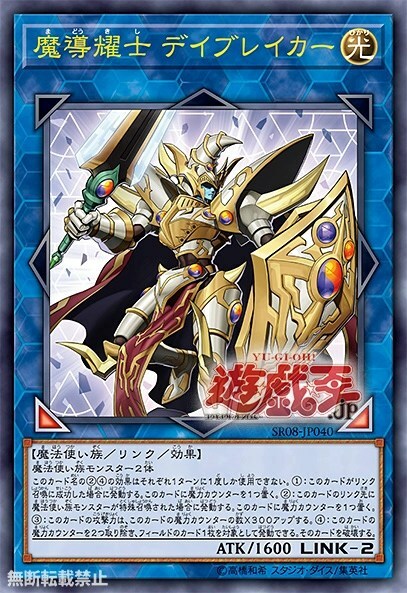 Structure Deck R: Lord of Magician is a Structure Deck in the Yu-Gi-Oh! Official Card Game. 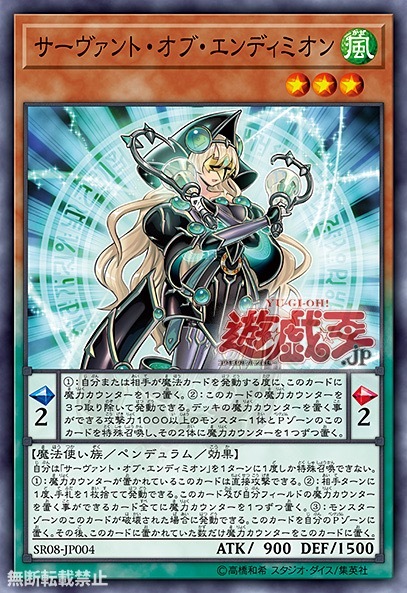 It is the eighth Deck in the OCG's Structure Deck R series, following Structure Deck R: Undead World. 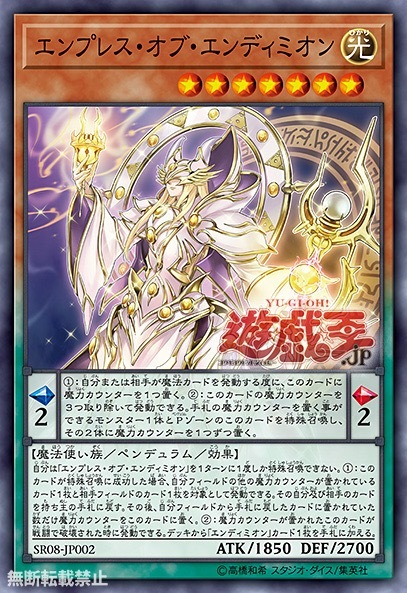 SR08-JP024 "Magical Citadel of Endymion"
SR08-JP040 "Daybreaker the Splendid Magical Knight"
SR08-JP041 "Guidance of Spell Salvation"
You can Special Summon “Magister of Endymion”(s) only once per turn. (1) When this card declares an attack: You can place 1 Spell Counter on this card. (2) Once per opponent’s turn (Quick Effect): You can remove 3 Spell Counters from your field; Special Summon 1 monster from your Deck that you can place a Spell Counter on. (3) If this card in a Monster Zone is destroyed: You can place this card in your Pendulum Zone, then place Spell Counters on this card equal to the Spell Counters that were on it. You can Special Summon “Servant of Endymion”(s) only once per turn. (1) This card can attack directly while it has a Spell Counter(s). (2) Once per opponent’s turn (Quick Effect): You can discard 1 card; place 1 Spell Counter on this card and all other cards you control that you can place a Spell Counter on. (3) If this card in a Monster Zone is destroyed: You can place this card in your Pendulum Zone, then place Spell Counters on this card equal to to the Spell Counters that were on it. 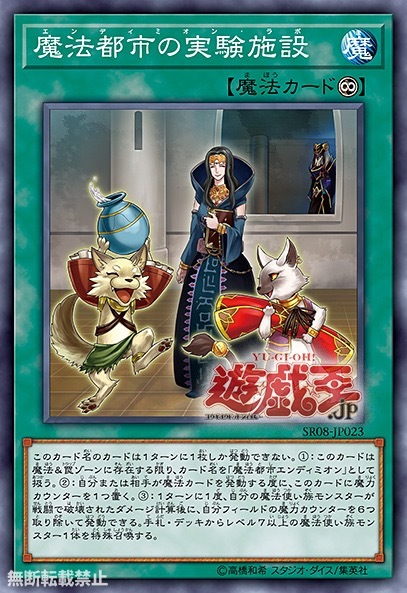 (1) This card’s name becomes “Magical Citadel of Endymion” while it is in the Spell & Trap Zone. (2) Each time a Spell Card is activated, place 1 Spell Counter on this card when that card resolves. 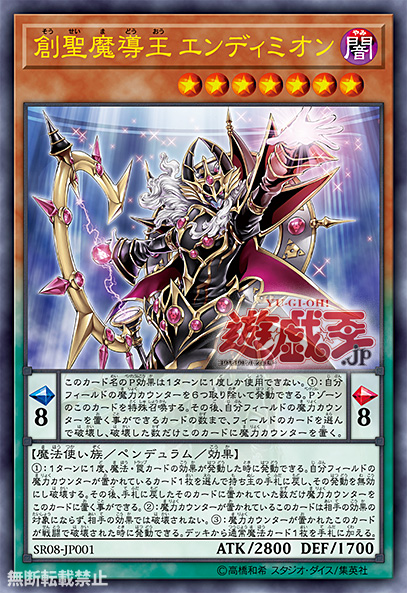 (3) Once per turn, if a Spellcaster monster you control is destroyed by battle, after damage calculation: You can remove 6 Spell Counters from your field; Special Summon 1 Level 7 or higher Spellcaster monster from your hand or Deck.